Book online. There are currently 2 places available for this event. Smiths Hall was rebuilt by John Brewer, and dated 1719 on a rainwater head and Kip’s engraving in Harris’s History of Kent. The garden layout still follows the engraving, although it has been considerably extended in recent years. Its distinct compartments display varied plantings of year-round lushness - extensive iris beds, peony and rose walks, herbaceous borders,a formal rose garden, a sunk garden and pond and some 5,000 young specimen trees, half of these forming an American arboretum in the park. The pavilion, copied in 1961 by Sir Albert Richardson, PRA from the 1719 engraving, overlooks the swimming pool at the north end of the original bowling green. We will be welcomed by Stephen Norman whose family has lived at Smiths Hall since 1949. Lunch will be at the nearby Tickled Trout pub. 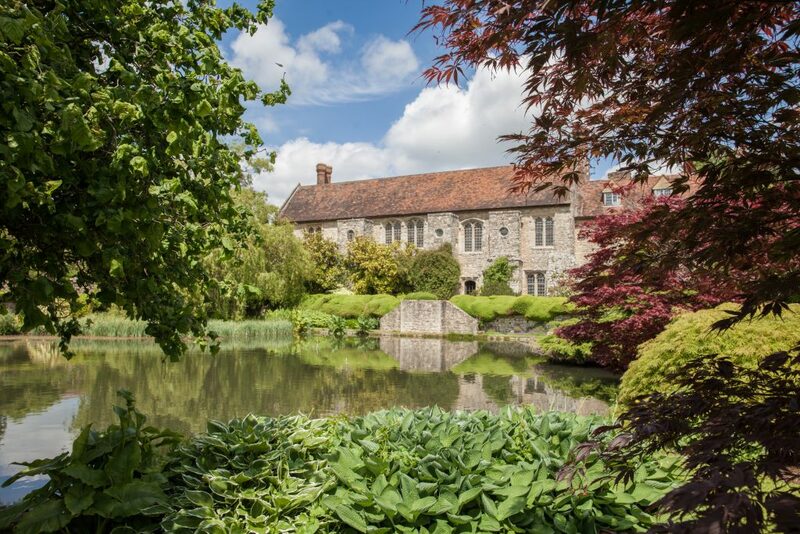 Centred on the magnificent C13 manor house of the de Wahull family, Nettlestead’s 10 acres of varied gardens cover many levels down to the River Medway with panoramic views beyond it. The range of plants and trees is breathtaking, giving year-round interest. Notable features include the sunken pond garden and the rose garden, both dating from major restoration of the house and gardens in the 1920s; an 80 metre terraced gravel garden planted with rock plants and dwarf bulbs; a formal herb and kitchen garden; a striking herbaceous border; and a glen garden in the valley, fed by a natural stream and planted with shade- and damp-loving plants, with a small forest of bamboos beyond it. 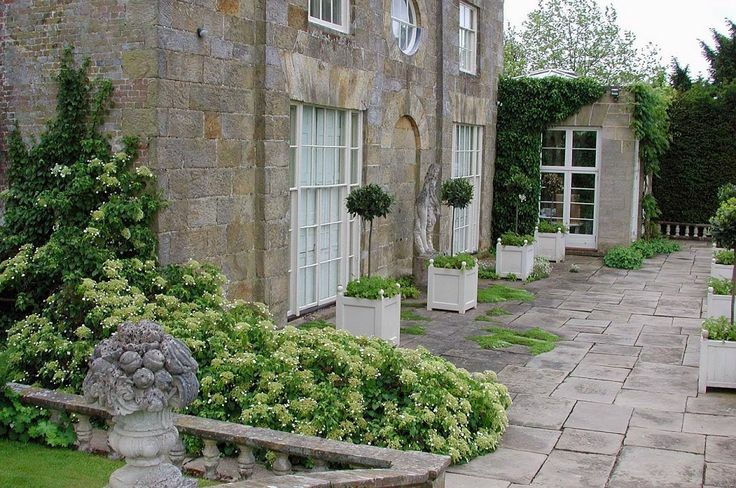 Since 1978, Nettlestead has been the home of Roy and Annabel Tucker who have enthusiastically redeveloped and extended the gardens and will welcome members and kindly provide tea. Book online. There are currently 12 places available for this event. Join us for a guided walking tour of the Hush Heath Estate of vineyards, apple orchards and ancient woodland. Situated just outside Staplehurst, Hush Heath estate sits in 400 acres of Wealden clay and is home to the Balfour-Lynn family. During our walk, we will learn about the gradual development of the now fifty acres of vineyards which produce award-winning still and sparkling wines. Another twenty acres of Hush Heath is devoted to the growing of apples for the production of very popular ciders. We will return to the winery through the woodland and hope that our visit will coincide with the appearance of ancient bluebells which have carpeted these woods for centuries. The process of still and sparkling wine-making will be explained during our tour of the state-of-the-art winery which was built in 2010 and will be followed by a tutored tasting of six award-winning wines and ciders. Lunch will be served in the newly-opened visitors’ centre and we will then have the opportunity to buy some of the wines and ciders made at Hush Heath. The tour ends at about 2.30pm. This event is fully booked, but you may register on the waiting list in case places become available.There is noone on the waiting list for this event at the moment. Serendipitously, these exceptional private gardens are within a few miles of each other, and just round the corner from Sheffield Park. We will start at Anthony and Maggie McGrath’s Town Place, and then move on to lunch at Lady Collum’s Clinton Lodge. Full details of the day will be sent at a later date for those who book. Artist Maggie McGrath and her husband Anthony have, over the past 30 years, been turning the pastures surrounding their 17th century Sussex farmhouse into a 3 acre garden that has achieved an international reputation for the quality of its design and planting (see in particular Gardens Illustrated, July 2012). 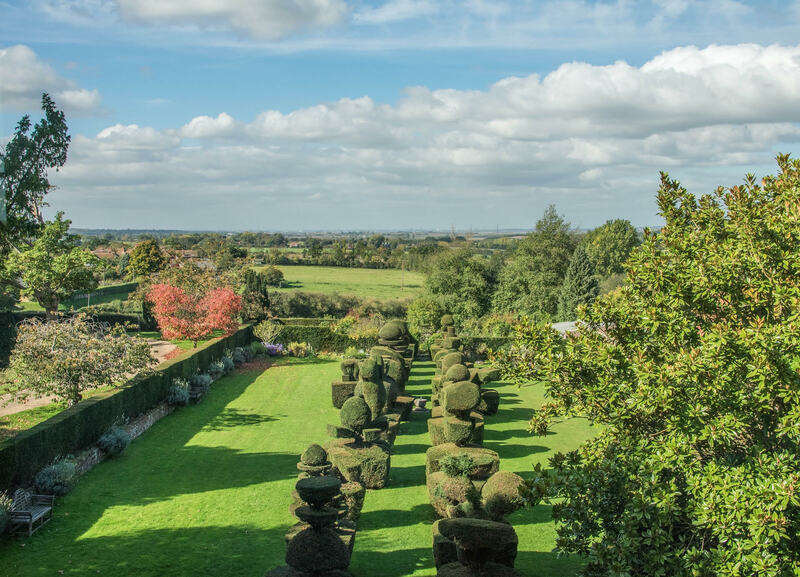 The structure is defined by extensive topiary using yew, box as well as hornbeam, and includes shapes inspired by the sculptures of Henry Moore, as well as a unique ‘priory church and cloisters’. The topiary is the backdrop to exuberant herbaceous planting, and a collection of more than 600 roses. Similarly developed over the past 30 years or so, the 6 acre garden at Clinton Lodge surrounds the Caroline and Georgian House with formal and romantic features and planting, and a spectacular view over parkland. Lady Collum, who will be giving us a tour, continues to develop the garden and oversees an utterly enchanting cornucopia of features that include extensive topiary, double white and blue herbaceous borders, a pleached lime walk, water features, a medieval style potager, a 17th century herb garden, and more…. Book online. There are currently 11 places available for this event. Standing in a parkland setting, Godinton House has survived for six hundred years with only two major changes of ownership. It now comprises a fascinating combination of medieval, Jacobean and Victorian architecture and we will be treated to a private, guided tour where we will learn about the people who lived there and the collections of porcelain, musical instruments and furniture they have left behind. Following a ploughman’s lunch we will then have a guided tour of the beautiful twelve acre gardens, lead by the Head Gardener. After four hundred years of changing fashions, the gardens are now mainly laid out to the 1898 designs of Reginald Blomfield. 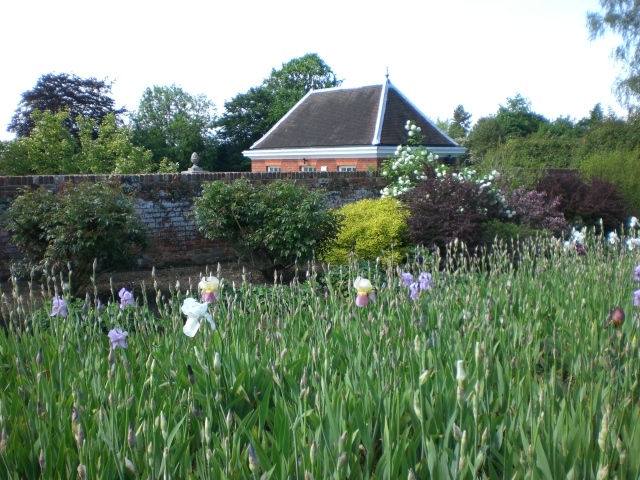 We will see the wonderful walled garden with its ornamental greenhouse, the rose gardens and herbaceous borders as well as the lily pond and Italian garden and learn about the continuous programme of conservation and restoration involved in a garden such as this. Book online. There are currently 29 places available for this event. 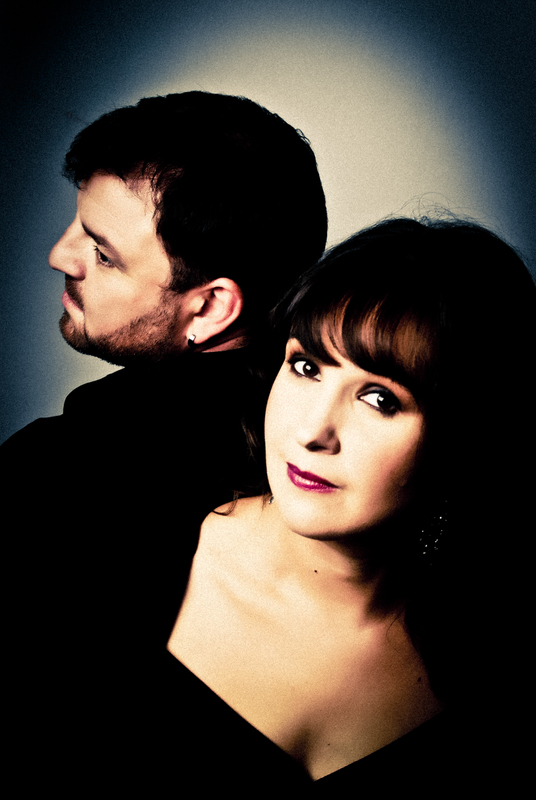 Broadening our programme of summer events, we have commissioned a concert of songs about gardens and nature from world-renowned Kent musicians soprano Kate Semmens and Steven Devine (harpsichord).They have put together a unique collection of beautiful pastoral songs including favourite works by Purcell, Handel, Arne, Monteverdi and Caccini. This event is fully booked, but you may register on the waiting list in case places become available.There are currently 4 people on the waiting list for this event. If you haven’t been to King’s Cross recently you will be amazed and delighted at how much has changed. This walk, led by the inestimable blue badge guide Diana Kelsey (who has recently led us on two sold-out tours of the Olympic Park and Hidden Gardens of the City), will show how London’s once seediest area has been transformed into one of its most stimulating and vibrant areas. The famous gas holders have become both apartments and a park, the granary has become the new home of Central St Martins, and Thomas Heatherwick has turned the old coal drops into a shopping arcade. The massive ‘hip’ businesses Google and Facebook have each decided to have their new UK headquarters buildings in the area. 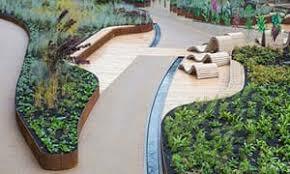 Our focus will be on the imaginative ‘garden greening’ of the whole area, especially the work of Dan Pearson in the beautiful informal gardens and open spaces. The tour will conclude at a lunch venue and in the afternoon you will be free to explore the wider reaches of the area which include The British Library, The Francis Crick Institute, the St Pancras Hotel, and The Wellcome Institute…or just take the train home! Book online. There are currently 7 places available for this event. Surrounding a 17th century farmhouse, Great Comp Garden was created by Roderick and Joyce Cameron in the 1950s and has, since their deaths, been run by the Great Comp Charitable Trust and is now managed and curated by William Dyson. We will be guided by William around the seven acres of garden as he explains the history of the planting of the garden which specializes in Azaleas, Hellebores and Dahlias and thirty different varieties of Magnolia as well as exotic trees and shrubs. There is also an Italian Garden complete with ruins and temples, all hand-built by Roderick Cameron. William will also talk about his own area of particular expertise in Salvias, developed over twenty years as Manager of the Salvia nursery within the garden and his successes in exhibiting at the Chelsea Flower Show. After our tour we will have a light lunch in the Old Dairy Tearoom and are then free to continue to wander in the garden at leisure. Book online. There are currently 5 places available for this event. Eltham Palace, a rare surviving moated medieval royal palace and deer park, was acquired in 1305 by Edward II, whose successors enclosed another 1,300 acres of park. Edward IV built the great hall by 1480; Henry VIII added gardens beyond the moat. Considerably damaged during the civil war, Eltham was granted by Charles II in 1663 to his financier Sir John Shaw, who built Eltham Lodge and sublet the palace as a farm. The Shaws left Eltham in 1839. Stephen and Virginia Courtauld became Crown tenants in 1933, reversing a century of decline and restoring and extending the garden. Mawson & Partners, then Seely & Paget (architects of the Cortaulds’ Art Deco Eltham Court) created gardens on the terraces surrounding the Palace and the lower dry sections of the moat, including a Japanese-style rockery, cascade and sunken garden around a pond, all within the medieval framework of buildings, remaining walls, two arms of the moat and substantial earthworks beyond this from which St Paul’s Cathedral can be seen to the west. 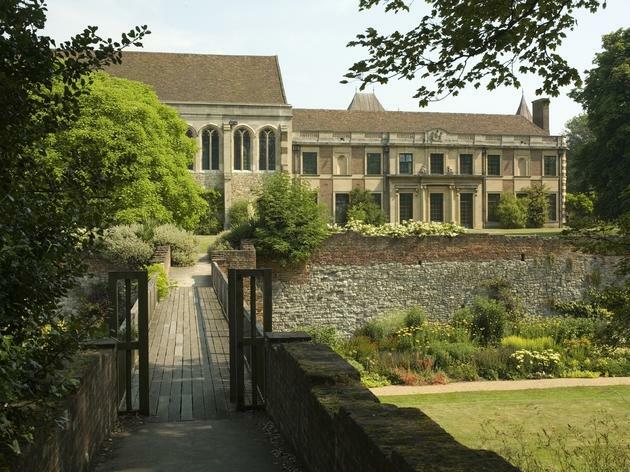 Since 1995 English Heritage have been custodians of Eltham Palace. 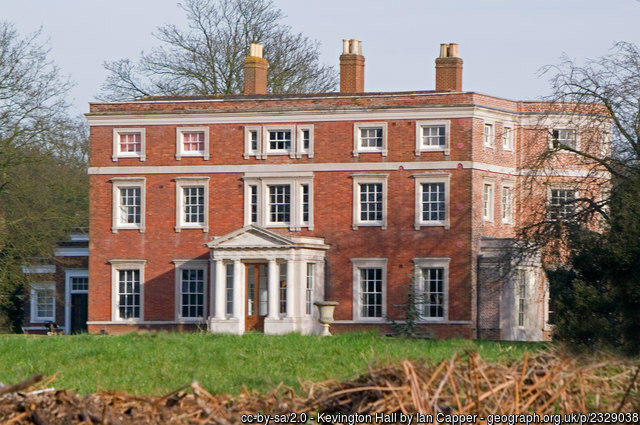 Kevington Hall was bought in 1768 by a London merchant, Herman Berens. He immediately engaged Robert Taylor, the Bank of England’s architect, to design a new house. His son Joseph added the full-height bow to the south elevation and built the Doric west portico and stables after 1795. Use by troops and a primary school for some 50 years from 1940 wrought havoc to the garden, but Jonathan Jackson, whose family bought Kevington in 1987, has reinstated the southern main drive and is planting many trees to recall the views and appearance of the landscaped 18th-century park. We are grateful to him for allowing a rare visit to his family’s home.